Start the last leg of your journey around the Americana Music Triangle in world-famous Tupelo, birthplace of Elvis Presley. After seeing Graceland in Memphis on the Delta Highway trail, get a sense for the star’s humble beginnings—the rural region where he first heard the African-American rhythms, gospel tunes and hillbilly music that would become, with his help, the beginnings of rock and roll. On this section of the Gold Record Road, you’ll visit the hometown of the “Father of Country Music,” Jimmie Rodgers. Also influenced by African-American rhythms, he created and popularized country music in a way no one had done at the time, creating a legitimate genre for the combination of hillbilly and blues swirling about the fields of the Americana Music Triangle in the first half of the 20th century. This route along the Natchez Trace parkway is serene and scenic, with detours here and there to sit in on a decades-old community pickin’ jam, dip into mysterious blues history with Robert Johnson, experience a once-in-a-lifetime county fair and more. Travel through Jackson’s urban core for a glimpse of the “City with Soul” before heading back to Natchez and further south to Baton Rouge, the capital of Plantation Country. * End up right where you started, in New Orleans, with a new understanding of the Americana Music Triangle and the cultural exports that have literally changed the world. *Traveler note: If you’ve driven the Gold Record Road from start to finish, you’ll be retracing your steps in reverse order from Natchez to Baton Rouge and back through New Orleans. All the better to stay awhile this second time through, explore what you didn’t see the first time and soak up the rich history of the Gold Record Road. Tour the humble two-room home built by Vernon Presley with the help of his father, brother and a $180 loan from his boss—it was in this modest cottage that The King of Rock and Roll was born. Now designated as a State Historic Site and owned by the city of Tupelo, the home has been restored to its original condition as a museum; you can also see the church Elvis attended as a child, transported here for fans to experience. Stand face-to-face with a statue of Elvis at age 13, and take the “Walk of Life” tour around the grounds. Shop the aisles of the hardware store where Gladys Presley bought her son Elvis his first guitar. Ask any employee—they’ll be happy to tell the story. 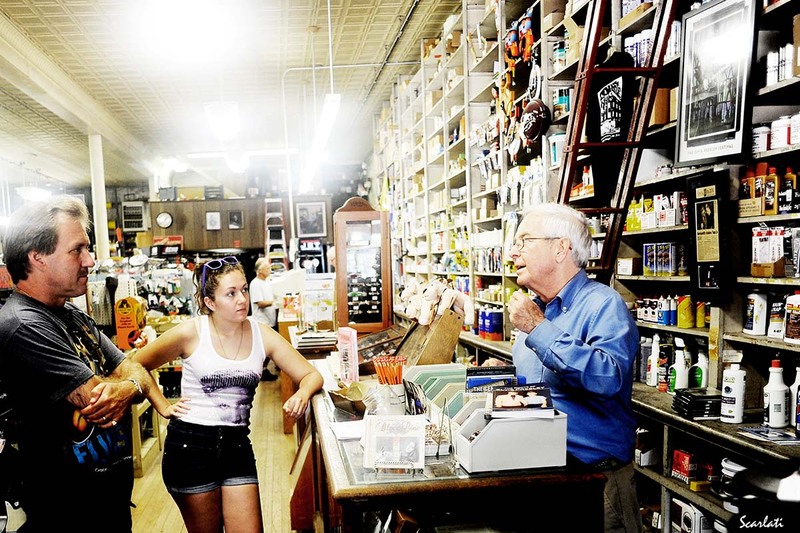 This authentic small-town hardware store has been in the same family for three generations, selling everything from door hinges to musical instruments. Visitors from all over the world (some famous, like Aerosmith’s Joe Perry) make a special trip to buy a guitar at this local shop, just for the experience of standing in the exact spot that Elvis did in that life-changing moment. While you’re here, pop across the street to Reed’s Department Store for historic Elvis photos, memorabilia and more. Snap a selfie with this bronze monument to the King on the site of the fairgrounds where his historic homecoming concert took place in 1956. With the Tupelo City Hall and Tupelo Hardware in the background, it’s the perfect souvenir photo. See many of the previously listed sites, plus his school, church, local grocery and more on this driving tour, compiled by the local CVB. Stop for a drink, a meal and a show at this locally owned restaurant and venue. They’re serious about original live music here—check out the calendar or follow them on Facebook for updates. Elvis Country – Explore the influence of country music on Elvis, and his impact on the genre, before he was crowned the King of Rock and Roll. Check out these sites, festivals, shops and online resources for Tupelo, and make sure you catch a show at a local venue while you’re in town. Celebrate all things Elvis at the annual Tupelo Elvis Festival in early June. Enjoy music, local food, a carnival midway, a 5k run and, of course, an Elvis Tribute Artist contest. Check the Tupelo Live Music Calendar for shows, venues and events. Tupelo is best known as the birthplace of Elvis Presley, and even the town acknowledges, “We put a little Elvis in everything we do.” But there’s more to this town than the King—find Civil War history, Southern charm, and plenty to see and do while you’re here. Discover the rich history of the Natchez Trace at the Natchez Trace Parkway Midpoint & Visitors’ Center, and explore the confluence of Kaintucks and Creoles, explorers and exploits, businessmen and bandits who helped shape the mixture of cultures that defines the Americana Music Triangle. Three miles north of the Visitors Center is a remaining segment of the original Trace leading to the graves of 13 unknown Confederate soldiers. Grab some fried chicken and biscuits at Connie’s Fried Chicken, a local institution, or duck into Kermit’s Outlaw Kitchen, just down the street from Tupelo Hardware, for an amazing sandwich, a pie and a pint. Head to Romie’s Grocery for “a little South in ya mouth”—try some barbecue and southern-style veggies for lunch or dinner. This list represents our personal recommendations, but make sure to explore the Tupelo Convention and Visitors Bureau website for lodging, dining, events, additional attractions and more information on anything listed above. Conditions change, businesses open and close; the local CVB is the best source for current information. Travel Tip: Slow down and enjoy the ride. The speed limit on the Natchez Trace is 50 mph, and because the Trace is a national park, speeders could receive federal tickets. As you leave Tupelo and head toward Jackson via the Natchez Trace, join in a beloved Friday night tradition at the Sparta Opry. Founded in 1987 as an impromptu back porch pickin’ party among friends, the venue now draws hundreds of people each week and has played host to a long list of legendary Mississippi musicians, earning it a spot on the Mississippi Country Music Trail. This volunteer-run local treasure is family-friendly (no alcohol is permitted), and admission is free—get your fill of bluegrass, country, gospel and more. Mississippi Fred McDowell wrote “You Gotta Move,” a song made famous by the Rolling Stones on their 1971 “Sticky Fingers” album; the song, along with “Brown Sugar” and “Wild Horses,” was recorded at the Muscle Shoals Sound Studio, a stop on the Backstage Pass section of the Gold Record Road. Ole Miss might not have been welcoming to black students in the 1960s, but many black R&B artists from the Muscle Shoals area of Alabama got their start there during that time, playing fraternity parties at Pi Kappa Alpha house on campus. In fact, the social chairman who brought them there, Tommy Couch and his partner Gerald “Wolf” Stephenson, would go on to form Malaco Attractions in Jackson, Mississippi, which later evolved into Malaco Records—a stop on the Cradle of the Kings section of the Gold Record Road. This museum draws visitors from all over the world to see its collection of memorabilia and artifacts from the life of West Point native and blues legend Howlin’ Wolf. Born Chester Arthur Burnett, Wolf got his introduction to the blues from the great Charley Patton at Dockery Plantation, a stop on the Delta Highway leg of the Gold Record Road. After leaving the Delta, he headed for Chicago and Chess Records, becoming one of the most popular bluesmen in the 1950s and ’60s. Today, he’s known as one of the most influential musicians to shape the blues, R&B, and rock and roll. As of this writing, the museum is open by appointment only as the construction gets underway for a new, larger museum space to house and display the foundation’s entire collection. Don’t forget to stop for a photo with the black granite statue of Howlin’ Wolf in the town park, a short walk from the museum. Howlin’ Wolf toured Europe in 1964 as part of the American Folk Blues Festival tour and was invited back to appear on the popular music variety television program “Shindig!” at the insistence of the Rolling Stones, whose recording of Wolf’s original “Little Red Rooster“ had reached No. 1 on the UK charts. The Rolling Stones and other iconic British rockers were heavily influenced by their “discovery” of the blues, and through their own recordings and promotion of American artists, they introduced the Delta sound to an entirely new audience in Europe. They essentially created a new and thriving market for the American blues, and sparked an appetite for the sound that is still strong around the world today. When you visit West Point’s Main Street, you can’t miss the Howlin’ Wolf Mural covering an entire wall of a century-old building. Stop and sign the autograph wall next to it, and read what other die-hard fans have written about the legendary bluesman, his music and his legacy. Find a Mississippi Blues Trail marker honoring the life and career of Howlin’ Wolf in downtown West Point. Visit West Point over Labor Day weekend to experience the music and vibe of the Howlin’ Wolf Memorial Blues Festival, an annual event celebrating West Point’s famous son, as well as blues greats like Bukka White and Big Joe Williams. The event is centered on the Mary Holmes College campus, with West Point’s well-known Prairie Arts Festival kicking off the next day. Experience the birthplace and life of the Father of Country Music himself at this Highland Park museum. This free attraction displays memorabilia of Jimmie Rodgers’ life and career, including one of his guitars; you’ll also find railroad equipment from the steam-engine era. As a young man, Rodgers worked on the railroads alongside black laborers, and developed a deep appreciation for their songs and chants; he eventually learned to pick and strum from railroad workers and hobos. Known as the “Singing Brakeman” famous for his “blue yodel,” Jimmie combined his blues heritage with country style and became the first country music star, paving the way for countless others and officially intertwining the blues and country music genres. “Blue Yodel #9,” also known as “Standing on the Corner,” was recorded in 1930 with jazz legend Louis Armstrong backing Rodgers on trumpet, and Armstrong’s wife Lil Hardin Armstrong on piano. The song tells the story of a “Tennessee Hustler” in Memphis. This wasn’t the only time Rodgers crossed genre lines, though—as an artist so heavily influenced by the traditions of the Delta Blues, he actually put his stamp on its future as well. Blues great Howlin’ Wolf found his signature sound by blending the blues style of Charley Patton—Father of the Delta Blues—with a yodel influenced by none other than the Father of Country Music. Tour the Peavey Visitors Center to learn about the contributions of Peavey Electronics, founded in 1965 by Meridian native Hartley Peavey, to the changing sounds of blues, rock and country. Peavey has manufactured electric guitars and basses, amps and sound systems for almost half a century. Check out these sites, festivals, shops and online resources for Meridian, and make sure you catch a show at a local venue while you’re in town. In mid-May, Meridian hosts the annual Jimmie Rodgers Festival with three days of music from all over Mississippi and beyond. The festival has been an annual event since 1953, serving, like its namesake, as a pioneering force in country music history. The first festival brought country musicians together like never before, paving the way for organizations like the Country Music Hall of Fame. Check Meridian’s live music and events calendar for shows, venues and events. Mississippi State University’s Riley Theater occupies the town’s original 1899 Grand Opera House, now a beautifully and carefully restored entertainment venue featuring national acts. In its original form, the Opera House hosted some of the most popular traveling shows of the early 20th century, from vaudeville to minstrel shows to silent movies. It’s known as “Mississippi’s Giant House Party,” a tradition in nearby Philadelphia since 1899. This is a camp on-site affair, with people coming back year after year to fill more than 600 brightly colored cabins and 200 RV spots. It’s eight days of food, politics, revelry and live entertainment by national acts—a true one-of-a-kind Southern experience. Meridian’s main musical claim to fame is Jimmie Rodgers, the Father of Country Music and the man credited for blending the rural and urban sounds of the 1920s and ’30s to create something original and new. It’s also a town with a dramatic Civil War past, a significant Civil Rights era history and, today, a reputation as a city with deep music history roots. During the Civil War, Meridian was almost completely destroyed by 20,000 Union troops in a week’s time; it was an important Confederate railroad town and therefore a strategic target. Take the Meridian Civil War Trail to see landmarks and learn more, including a tour of antebellum Merrehope, one of only six buildings left standing in Meridian after General Sherman’s historic March to the Sea. Meridian is the final resting place of the “Queen of the Gypsy Nation,” Kelly Mitchell. Each year, tens of thousands of Romani people and curious tourists come to pay their respects. Buy some hoop cheese or fresh cornmeal ground on-site at the Causeyville General Store, which houses a working gristmill and a music museum. Enjoy an upscale take on Southern cuisine with dishes like fried green tomatoes and black-bottom pie at Weidmann’s, a favorite local restaurant near the Riley Theater and a downtown Meridian tradition since 1870. Treat your inner child to a spin on the Highland Park Dentzel Carousel, handcrafted in 1896 for the 1904 St. Louis World’s Fair. The carousel has been in Highland Park in Meridian since 1909 and is a local and national treasure, named by the U.S. Department of the Interior as a National Landmark on the National Register of Historic Places. This list represents our personal recommendations, but make sure to explore the Meridian Convention and Visitors Bureau website for lodging, dining, events, additional attractions and more information on anything listed above. Conditions change, businesses open and close; the local CVB is the best source for current information. Head due east of Meridian on Highway 80 to take the Selma to Montgomery Civil Rights Trail, tracing the route of one of the most significant civil rights protests in American history. The 54-mile Voting Rights March of 1965 consisted of 600 whites and blacks walking side by side from Selma to Montgomery, Alabama’s capital, in support of equal voting rights for all Americans. Along the way, the nonviolent marchers were teargassed, beaten and stopped by law enforcement officers, gaining international attention; the event became known as “Bloody Sunday.” Just a few weeks later, 25,000 civil rights supporters from all over the U.S. joined the original 600 demonstrators on another five-day march to the Capitol, protected by federal law enforcement. Five months later, the Voting Rights Act of 1965 gave all Americans the legal right to vote; the Voting Rights March was instrumental in shedding light on—and gaining broad support for—the effort. Fifty years later in 2015, the film Selma was released; President Obama, the First Family and many of the original “foot soldiers” joined thousands in a symbolic 50th Anniversary march across the bridge on March 7, 2015. In his stirring speech, the president remarked, “We are the inventors of gospel and jazz and the blues, bluegrass and country, hip-hop and rock and roll, our very own sounds with all the sweet sorrow and reckless joy of freedom.” The route is now a National Historic Trail managed by the National Parks Department with interpretive centers and significant sites along the way to tell the incredible story. When the 1965 Voting Rights March reached Montgomery, a “Stars for Freedom” rally on a makeshift stage featured musicians Harry Belafonte, Tony Bennett, Sammy Davis Jr., Joan Baez and others. The next day, Dr. Martin Luther King Jr. delivered his now-famous “How Long, Not Long” speech on the steps of the Capitol. For more attractions, lodging and things to do in Alabama’s capital city, visit the Montgomery CVB website and the Alabama State Tourism website. Visit the world-famous label responsible for countless R&B, soul and gospel hits. Established in 1960, this studio and label have evolved from their early days booking black R&B acts for white fraternity parties at nearby Ole Miss University in Oxford. Over the years, the company acquired other labels and studios, including the Muscle Shoals Sound Studio, label and publishing company, a historic anchor of the Nashville to Tupelo section of the Gold Record Road. Today, Malaco is the undisputed premier gospel label and known around the world as the “Last Soul Company.” The studio welcomes visitors; call ahead for a tour. Once a bustling cultural and entertainment district, this area is listed on the National Register of Historic Places for its rich African-American history. You’ll find historic buildings like the Alamo and Birdland performance venues, plus historic markers pointing out the sites where Trumpet Records Ace Records and Speir Phonograph Company once thrived. Trumpet Records was founded and operated by a white woman named Lillian McMurry, whose husband owned a shop on Farish Street. McMurry brazenly bucked the social norms of the deeply segregated south to record many African-American R&B, gospel and blues artists in the back room of the store, including Elmore James, Sonny Boy Williamson II, Little Milton, Wynonie Harris, Willie Love and James Waller. Elmore James, originally employed at the shop, recorded “Dust My Broom” at Trumpet in 1951, a legendary cover of a Robert Johnson song that contains what is arguably one of the greatest blues riffs of all time. Traveler Tip: The Farish Street area consistently reports high crime—use your best judgment as a tourist when entering areas that could be considered dangerous. On the Copiah County Courthouse Square in nearby Hazlehurst, you’ll find a small monument at the former location of the courthouse where blues legend Robert Johnson married Calletta Craft in 1931, and his historic birthplace on South Ragsdale Avenue near the Amtrak station. Despite being heralded the world over as a Delta Blues legend, Robert Johnson’s musical career lasted only a few short years, and he received very little recognition while he was alive. That all changed when Johnson’s recordings were reissued decades later on the 1961 “King of the Delta Blues Singers” LP. British rockers and others “discovered” Johnson via this album, earning him global popularity and recognition. Now a cultural icon, the lore surrounding Johnson is tremendous—he was famously rumored to have sold his soul to the devil at a rural Mississippi crossroads in exchange for incredible guitar skills, is thought to have died after being poisoned by a jealous husband and is the subject of many other fascinating stories. Learn more about Johnson’s life and the legends of the blues on the Delta Highway trail. Mississippi Blues Trail. This bluesy urban center and its surrounding area has 15 markers placed by the Mississippi Blues Trail. Check the Jackson MS Website for music listings, venues and showtimes. Hear some live blues in the “City with Soul” at Underground 119 or F. Jones Corner. Make plans to catch a concert at historic Duling Hall. Stained glass and unique architectural details give this meticulously restored 1928 venue an intimate feel, with amazing acoustics that draw acts from the Flaming Lips to Jason Isbell. For live music and memorable dining, try the Iron Horse Grill. For a house band with more blues clout than you can wrap your head around, head to Hal and Mal’s on a Monday night. The Blue Monday Band takes the stage at 8:30, featuring legendary performers from the 2003 documentary The Last of the Mississippi Jukes: Malcom Shepherd, King Edward Antoine, Rick Lewis and many others. You can even sign up to join the band onstage during their second set. Visit Jackson in late summer to catch the Jackson Rhythm and Blues Festival, a two-day event featuring national blues acts, re-created juke joints, seasonal food vendors and more. Catch local flavor on AM 1400. Jackson, the “City with Soul,” is the capital of Mississippi and the largest city in the state, a city with a deep civil war history and civil rights heritage as well as a blues and R&B recording legacy. Jackson was an important blues center in the early 20th century, drawing musicians from the cotton fields and rural outskirts as the blues gained popularity with a wider audience. Travel Tip: The rural South is economically diverse, with pockets of extreme wealth and extreme poverty, which can raise safety questions with travelers. Our advice is to behave as you would in any major urban area—keep car doors locked, keep valuables with you and don’t flaunt jewelry or cash. Tour the Eudora Welty House, the place where the acclaimed author wrote nearly all of her stories and essays. Learn about the history of Islamic culture in Jackson and beyond at the International Museum of Muslim Cultures. Visit the iconic Brent’s Drugs for its period soda fountain used in the 2011 film “The Help,” and come back after hours for The Apothecary, a backroom bar in the style of an old speakeasy. If you’re stopping for the night in the Jackson area, consider a relaxing stay along the historic Natchez Trace Parkway in nearby Ridgeland for shopping, dining, lodging and more. This list represents our personal recommendations, but make sure to explore the Jackson Convention and Visitors Bureau website for lodging, dining, events, additional attractions and more information on anything listed above. Conditions change, businesses open and close; the local CVB is the best source for current information. As you leave Jackson on Highway 20, rejoin the Natchez Trace in Clinton. Make a stop at the Clinton Visitor Center, and relax in a rocking chair on the front porch of this 1800s-style farmhouse—it’s a great resource for area information. It also boasts an active music scene on the weekends, featuring folk, country, bluegrass, string band and gospel performances on Saturday mornings and Sunday afternoons. If you’re here on the third Friday evening of the month, you’ll be right in the middle of Friday Nights at Milepost 89—a musical showcase for singers and songwriters. This is about as authentic as it gets if you’re looking for a roadside restaurant in rural Mississippi. Housed in a former general store, this unassuming spot is famous for its fried chicken and Southern fare buffet—even the Food Network has stopped in for a plate. Explore this historic town, and visit the Mississippi Blues Trail Marker for the Rabbit Foot Minstrels, a traveling minstrel show that lived and rehearsed here when not on the road. During its three-decade life span, the act included many blues greats: Big Joe Williams, Sid Hemphill, Willie Nix, Maxwell Street Jimmy, Jim Jackson music, Bogus Ben Covington, Dwight “Gatemouth” Moore, Johnny “Daddy Stovepipe” Watson, and trombonist Leon “Pee Wee” Whittaker. If you’re looking for nightlife, check out this historic saloon stop on the Mississippi River, where the flatboat operators of the 19th century would relax with their vices in preparation for their journeys back north. Enjoy live music on the weekends, good company 365 days a year and a taste of saloon life in an out-of-the-way spot that draws visitors from around the globe. Plan ahead and make a night of it in the Mark Twain Guest House, just above the bar and restaurant. Natchez is still a hot spot for the entertainment industry. Mick Jagger spent an extended amount of time filming in Natchez in 2014 as the executive producer of “Get on Up,” a biopic on the “Godfather of Soul,” James Brown; the same year, Paul McCartney jammed with Johnny Depp in Natchez on the video for his song “Early Days,” which features local blues artists like Li’l Poochie and others. This small museum honors the victims of the tragic 1940 night club fire that killed over 200 people, most of them African-American, including Chicago jazz musician Walter Barnes and his band. The tragic event has been memorialized in song many times by blues musicians over the years, most famously by Howlin’ Wolf in 1956. The event also spurred the 1941-42 Library of Congress Study that drew folk music field collector Alan Lomax to the middle of the Mississippi Delta, where he would make the first-ever recordings of blues legends Muddy Waters, David “Honeyboy” Edwards and others. Learn more about the history and culture of the Delta Blues on the Delta Highway section of the Gold Record Road. The “Rhythm Club Fire” documentary tells the story of that horrific night through interviews with family members, survivors, photos, music and more. This museum celebrates the greats of Louisiana’s musical heritage, spanning decades and genres of music rooted in the Mississippi Delta. It’s worth the trip, especially for the exhibit on Ferriday’s three famous cousins: Mickey Gilley, Jerry Lee Lewis and Jimmy Swaggart. You’ll also find exhibitions on Fats Domino, Aaron Neville, Conway Twitty and others. Start your journey seated in a pew of the 1800s plantation church at Frogmore Plantation, then set out for a journey that details plantation life through music and narration. You’ll travel to the Louisiana Delta Music Museum in Ferriday for a guided tour; as you travel, your knowledgeable tour guide will give you a crash course in blues, ragtime and jazz. Papa Lightfoot, legendary blues artist who perished in the Rhythm Night Club fire. Haney’s Big House in nearby Ferriday shared important musical connections with Natchez, MS. The marker gives the full story on the two cities and the important route between them. Check out these sites, festivals, shops and online resources for Natchez, and be sure you catch a show at a local venue while you’re in town. Connect with Natchez Live Music on Facebook for updates, announcements, events and more, including shows at 408 Listening Room, Andrews Tavern, Biscuits and Blues or Bowie’s Tavern for live music. You can even catch a rooftop show at Magnolia Bluffs Casino, and soak up the amazing river views. Check the Event Calendar on the Natchez CVB Website for everything from festivals and concerts to art exhibits and lectures; the Natchez Festival of Music is an annual highlight. Standing for nearly 300 years, Natchez is the oldest continuous settlement on the Mississippi River. There was a time when it was home to half of the millionaires in the U.S.; a time when cotton was king and the fertile soil and slave labor helped to build empires on the nation’s first interstate: Old Man River. It was the slave and sharecropper cultures of the Delta that created the beginnings of the blues. Today, you’ll find this charming small city to be a well-preserved blend of Native American, Southern and African-American culture, with a deep musical heritage and plenty to do and see. In fact, it’s been voted Best Small City in the U.S. for a Weekend by AAA Traveler readers—twice. Be sure you take a tour of the downtown historic district in Natchez on foot or by car. Natchez is known for its grand collection of historic and antebellum homes, some dating back to the Spanish period of the late 1700s. One of the best ways to experience the history and architecture of Natchez is during the Annual Spring Pilgrimage and Annual Fall Pilgrimage. Tour some of the town’s grandest homes, complete with entertainment and living history exhibitions that make this signature event truly one of a kind. Explore the Natchez Museum of African Art and Heritage, housed in the former Natchez Post Office downtown. Exhibits on the Rhythm Night Club fire, Forks of the Road and acclaimed author Richard Wright give you insight into the area’s African-American history and culture. Visit the marker for Forks of the Road, once the second-largest slave market in the South, and visit the 128-acre Grand Village of the Natchez Indians, a preserved ceremonial center dating back to the late 1600s. Learn more about Native Americans, early settlers and stories of the region at Natchez National Historical Park. Don’t miss Frogmore Plantation, home to a working cotton plantation of the early 1800s that operates alongside a modern cotton plantation and gin. Learn about the early Natchez planters and slave culture—in particular, the slave music and culture that helped to shape the blues. Tour both the historic and modern cotton operations to get a unique understanding of how the industry shaped—and continues to shape—the Mississippi Delta. The Natchez City Cemetery is hauntingly gorgeous and full of ornate grave markers, and the incredible stories that go along with them. It’s also the site of the annual Angels on the Bluff Event every fall—an elaborate presentation featuring local citizens and family descendants in full costume portraying the lives and deaths of those buried there; some tellings are even accompanied by musicians. This list represents our personal recommendations, but be sure to explore the Natchez Tourism Website and Natchez Visitor Guide for lodging, dining, events, additional attractions and more information on anything listed above. Conditions change, businesses open and close; the local CVB is the best source for current information. As you prepare to cross the Louisiana-Mississippi line on Highway 61, stop at the Louisiana State Visitor Center (LA side) and the Woodville Hospitality Station (MS side) to find anything and everything you want to know about the region—both are excellent tourist resources and great spots for local information on attractions, festivals, restaurants, music and more. Find out more about Woodville and its celebrated historic district here. Check out this local favorite for a down-home vibe and live music every weekend. From singer-songwriter sounds to country crooners, Cajun jams and a great house band, you never know who will take the stage. Follow on Facebook to see who’s up next. And for a one-of-a-kind overnight, check out the oldest motor court in Louisiana, the 3V Motor Court, right next door. Check out this laid-back hangout for supper and songwriter nights, workshops and more on select Mondays—not to mention great coffee, baked goods and breakfast every day of the week. Find a festival in St. Francisville: It’s likely to have live local music and great opportunities to get to know the town and its flavor. Spend some time in St. Francisville, a historic town rich in plantation lore with a deep Southern vibe. The centuries-old buildings and beautifully preserved historic homes contrast with the modern aesthetic of the graceful John James Audubon Bridge, making it a charming tourist destination and a great spot to soak up the spirit of the area. The downtown St. Francisville Visitor Center, run by the St. Francisville CVB, is housed in the West Feliciana Historical Society Museum on Main Street; connect with friendly, knowledgeable locals for area information. Don’t miss the annual Yellow Leaf Arts Festival, held the last week in October. Artisans, musicians, craftspeople and other creative folks make this a vibrant and fun event, and a great time to experience the St. Francisville way of life. Get current updates when you Follow on Facebook. This list represents our personal recommendations, but be sure to explore the St. Francisville/West Feliciana Parish Tourism Commission website for lodging, dining, events, additional attractions and more information on anything listed above. Conditions change, businesses open and close; the local CVB is the best source for current information. Visit this tiny club just north of town in Zachary, off Highway 61, that’s been going strong since 1979. This shotgun house was once the childhood home of the club’s owner; today, it’s a hoppin’ local spot and authentic rural juke joint with live music most nights. Check the calendar here. Formerly Buddy Stewart’s Rock Shop, this former retail store is now an antique record museum with an impressive collection of vinyl, concentrated on artists from the Baton Rouge area. It’s also home to the RocktoberFest, a community music festival that celebrates local gospel, jazz, zydeco, R&B and blues artists, with plenty of youth performances—the center offers music classes for kids as a part of its mission. Two-term Louisiana Governor James Houston “”Jimmie”” Davis was known as the “singing governor”—he’s credited as a co-writer on the song “You Are My Sunshine,” which he sang at campaign stops, catapulting its popularity. While in office, he had a No. 1 hit single in 1945 with “There’s a New Moon Over My Shoulder.” Throughout his career, Davis released more than 40 albums, including Southern gospel music—he even served as president of the Gospel Music Association in the 1960s. Check out these sites, festivals, shops and online resources for Baton Rouge, and be sure you catch a show at a local venue while you’re in town. Catch a live show at Boudreaux & Thibodeaux’s, or find another venue for music here. Find updated events and festivals on the Baton Rouge CVB event calendar or the Baton Rouge Events and Festivals page. Find music and entertainment downtown with tips from the Downtown Development District. Baton Rouge is many things: state capitol, college town and capital of Plantation Country. Once the wealthy center of the sugar cane industry in the South, the city’s historic prosperity is evident in its architecture. Affectionately nicknamed “Red Stick” (the translation of “baton rouge”), the city has a thriving arts culture, a booming gaming industry, plenty of live music and tons of Tigers—the LSU variety, that is. Don’t miss the incredible Gothic architecture of Louisiana’s Old State Capitol. Looking out over the Mississippi from downtown, this 160-year-old structure is steeped in history. In 1928, Democratic Louisiana Governor Huey Long, aka “The Kingfish,” commissioned a new, art deco-style Capitol Building to replace it; the “new” structure still stands in downtown Baton Rouge as the tallest State Capitol in the U.S. Long was assassinated there in 1935 by a longtime opponent’s son-in-law, and is buried under his memorial statue in its surrounding gardens. The building is still in use today. Visit the Odell S. Williams Now and Then Museum of African-American History to learn about Louisiana history from an African-American perspective. Odell S. Williams was a black teacher who taught her students African-American history in secret when it was not allowed; tour the museum to see African-American artwork, artifacts and exhibits related to Juneteenth, the landmark date of the Emancipation Proclamation in 1863. Baton Rouge is home to some of the best preserved antebellum plantation homes in the country, including the Creole history and stories of the Laura Plantation. In fact, heading north or south on Highway 61, you’ll be in what’s considered Plantation Country, where the sugar and cotton industries thrived prior to the Civil War, driven by slave labor, bolstered by river transportation and generating unbelievable wealth for plantation owners. Take the Sugar Trail out of Baton Rouge to see some of these amazing national treasures. 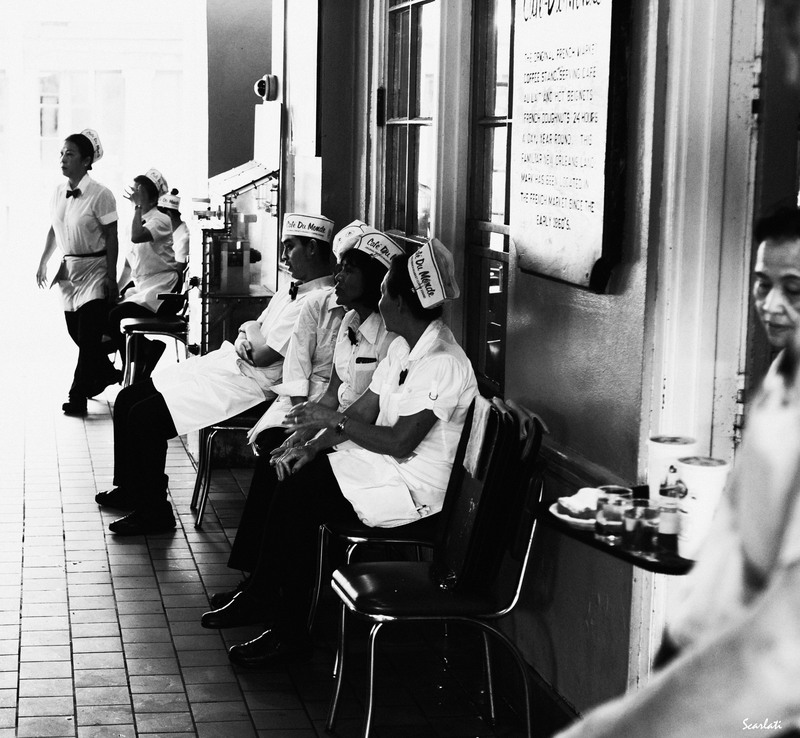 Head to Louie’s Café, a historic diner that’s been a part of the Louisiana State University culture for decades. Get a feel for the region’s native swampland at the BlueBonnet Swamp Nature Center, right in Baton Rouge. Stroll along over a mile of boardwalks and gravel paths through the swamp and hardwood forest, or visit the exhibition center to learn more about the area’s signature natural habitat. This list represents our personal recommendations, but be sure to explore the Baton Rouge Convention and Visitors Bureau website for lodging, dining, events, additional attractions and more information on anything listed above. Conditions change, businesses open and close; the local CVB is the best source for current information. Take a scenic drive through what was once the crown jewel of the deep South: the stretch of Louisiana’s River Road (LA 44) known as Plantation Alley. Exit I-10 and follow the Mighty Mississippi to the grandest and most beautifully restored collection of sugar cane plantations in the South—San Francisco Plantation in Garyville, Oak Alley in Vacherie, Nottoway in White Castle and Houmas House in Darrow, just to name a few. Check out this Southern Living Magazine article as a guide to many of the homes, or book a professional tour. Founded in 1961 to protect and honor the New Orleans Jazz tradition, this French Quarter music venue, house band, nonprofit organization and record label has become a New Orleans institution and musical tradition. Dating back to the 1950s (and opening its doors here in 1961), the Hall got its start after hours in an art gallery, where the owner was inspired to give out-of-work New Orleans Jazz players a stage. At the time, the jazz halls of the past were few and far between, and the genre was then considered a “fading art form” in the shadow of rock and roll. As word got out about these “rehearsal sessions,” jazz legends like George Lewis, Punch Miller, Sweet Emma Barrett and dozens of others began to take the stage. The people of New Orleans responded with their attendance and donations, and the sessions began to take on a life of their own. It was this community response that created Preservation Hall as we know it today—a leader in music education, a beloved cultural touchstone and the undisputed headquarters of the magic that is New Orleans Jazz. Get your jazz fix here: all ages welcome, with live music seven nights a week. Bourbon Street might be more famous, but the locals head to Frenchmen Street, just steps away from the French Quarter, for two musical blocks that are positively jumpin’ with a dozen or so clubs and the best live music scene in the city. Maison is a great place to start, with lively music and dancing seven nights a week. The red house on the corner of Frenchmen and Robertson was once the home of Jelly Roll Morton. As a teen, he learned to play piano in Storyville’s brothels; Morton went on to write the first published jazz composition, “Jelly Roll Blues,” in 1915. Located at the historic site of Congo Square, just north of the French Quarter in the Treme neighborhood, this popular park honors jazz great Louis Armstrong. Originally known as the Place de Negres, Congo Square was one of the few places where slaves were allowed a day off to gather on Sundays, dancing and playing the music and rhythms that would evolve into modern-day jazz, R&B and rock sounds. The practice of allowing a Sabbath for slaves was a part of the French Code Noir and was a distinctly French practice—the English did not allow it. The celebrations drew visitors and onlookers from all over the country, and were essential to keeping African music traditions alive in New Orleans. 835 N. Rampart St., New Orleans. In 1819, H.C. Knight encountered the energy of Congo Square while visiting the city. He wrote this now-famous quote: “The African slaves meet on the green, by the swamp, and rock the city with their Congo dances.” It was quite possibly the first time the word “rock” was used as a verb in reference to music. In The World That Made New Orleans, author Ned Sublette observes that Roy Brown’s 1947 “Good Rockin Tonight,” one of the first true rock and roll records, was recorded just a block away at Cosimo Matassa’s. In the early 1800s, New Orleans was the only place in the New World where slaves were allowed to own drums. Today, this 1835 building in the French Quarter is a Laundromat, but at one time it was Cosimo Matassa’s J&M Music Shop—the recording studio that launched the careers of Fats Domino, Jerry Lee Lewis, Little Richard and Ray Charles between 1945 and 1955. It’s not only a historic landmark in New Orleans; it’s also been designated as one of only 11 historic Rock and Roll Landmarks recognized by the Rock and Roll Hall of Fame and Museum. 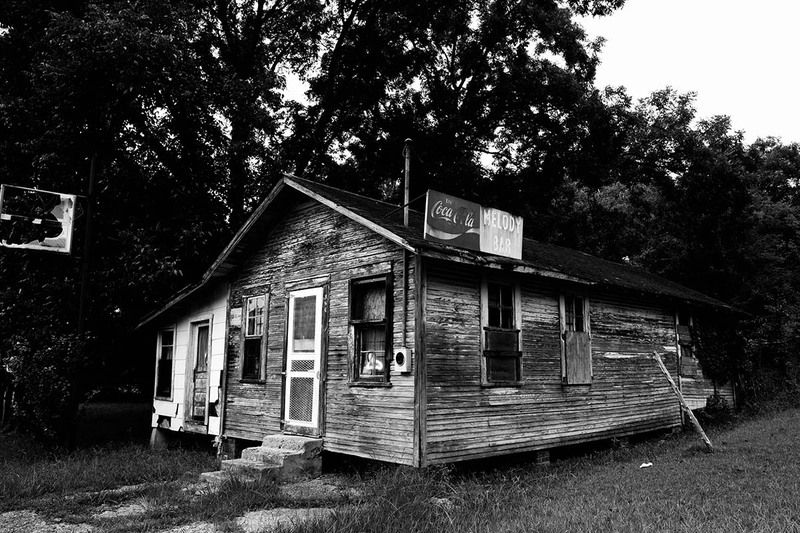 Little Richard’s “Tutti Frutti,” Fats Domino’s “The Fat Man,” Big Joe Turner’s “Shake, Rattle and Roll” and a long list of other hits were recorded right here. Matassa’s Market, a family-owned grocery and deli, still operates just a few blocks away on Dauphine Street. 840 N. Rampart St., New Orleans. You can’t do New Orleans without a trip down the world-famous Bourbon Street, known for its rowdy reputation during Mardi Gras and only slightly tamer manner the rest of the year. You’ll find plenty of music geared for the tourist—cover bands, karaoke, etc. Visit during the day to explore its architecture and history. With four acres contained within Louis Armstrong Park, the National Jazz Historical Park also includes the French Market visitors center and performance venue—a former U.S. Mint building—in the nearby French Quarter. Established to celebrate the origins and evolution of the jazz genre, the park hosts live shows and other events year-round. Find a schedule here. It wasn’t just the African-American population that shifted during the Great Migration in the first half of the 20th century; New Orleans-born jazz music moved from the South to the more urban North and West along with the people seeking work. Carried by Louis Armstrong and other early greats, jazz landed in Chicago, Harlem, Hollywood, Kansas City and other spots; as the music spread to new areas, so did its popularity. Jazz music soon dominated the hits of pop crooners like Frank Sinatra, Perry Como and Bing Crosby, and became a staple of big-band setlists and Hollywood film soundtracks of the 1930s and beyond. This New Orleans fixture is dedicated to performer, composer and pianist Henry Roeland Byrd, aka Professor Longhair, one of New Orleans’ most revered rhythm and blues musicians. A major influence on the New Orleans Sound since the 1950s, Longhair helped shape the sounds of many, including Dr. John, the Neville Brothers, Allen Toussaint and more. In fact, Tipitina’s— named for a well-known song by Professor Longhair—was opened by fans in 1977 as a neighborhood juke joint where “Fess” could play during his final years. Hit Fritzel’s Jazz Pub, the oldest operating jazz club in New Orleans. Find this saucy club and its incredible house band in the heart of—where else—the French Quarter. As jazz began to migrate from the American South to the North during the Great Migration in the early 20th century, it traveled across the ocean to influence European music culture too. Belgian-born Romani guitar wonder Jean “Django” Reinhardt, the “Master of Gypsy Jazz,” was heavily influenced by Louis Armstrong’s sound, even referring to him as “my brother.” Reinhardt’s distinctive guitar style, in turn, reached back to the U.S. and influenced artists all along the Americana Music Triangle, including Willie Nelson and other country stars. “Gypsy Jazz” is still very much alive in Paris, played in jazz bars across the city and celebrated with an annual festival. 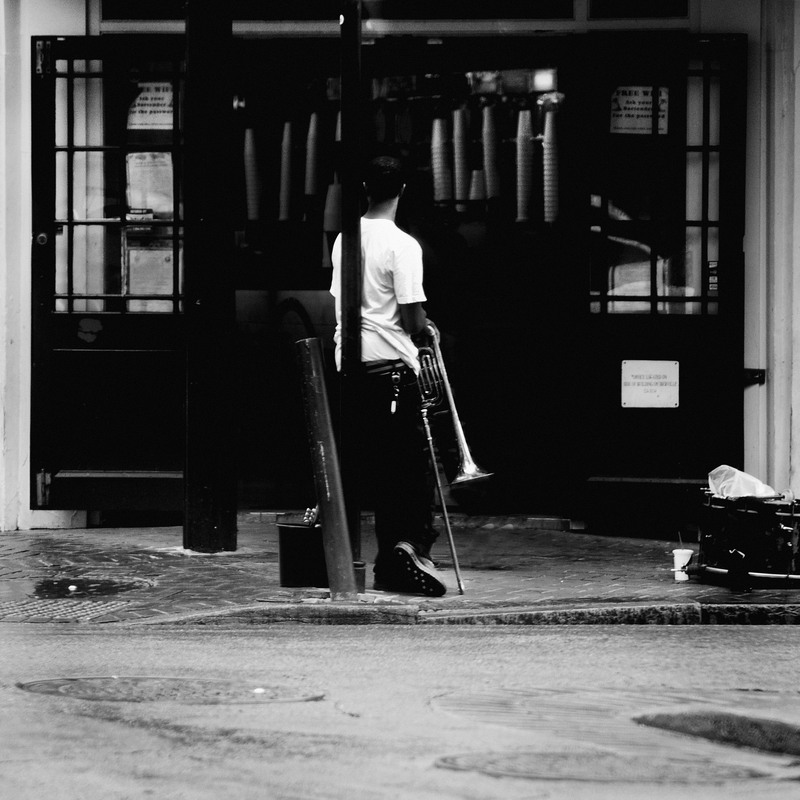 Get an earful at this classic New Orleans jazz club, owned and operated by the founder of the Grammy award-winning New Orleans Jazz Orchestra. Live jazz seven nights a week, no cover. Visit the Louisiana State Museum’s internationally known jazz collection, the largest and most comprehensive of its kind in the world. As jazz traveled across the U.S. with the Great Migration, it absorbed regional nuances, traditions and sounds to create entirely new subgenres. Out West, jazz riffs collided with country sounds and laid the foundation for the popular Western Swing of the 1930s-50s, made famous by Bob Wills, Spade Cooley and others. Even the harmonies and structure of the classic Hollywood “singing cowboys” can be traced all the way back to the streets of New Orleans. Book a spot on a music tour—explore nightlife, jazz history or music heritage on foot with the help of a licensed guide. Try the “Jazz on the Rocks” tour for a cocktail-infused history lesson as you explore the city. This city park honors some of New Orleans’ most legendary performers: Al Hirt, Pete Fountain, Fats Domino, Louis Prima, Allen Toussaint, Irma Thomas and others. You’ll likely hear live street performances from groups or soloists playing in the shadows of life-sized bronze statues of the greats. 311 Bourbon St., New Orleans. Enjoy a relaxing morning meal and experience the uplifting, soulful sounds of a traditional Sunday in New Orleans, without having to seek out a pew. House of Blues has a popular brunch, right in the French Quarter. Explore New Orleans’ Jazz history through its neighborhoods, from Storyville to Treme and the West Bank. The New Orleans community is also nurturing its jazz and musical neighborhood traditions into the future, thanks to the New Orleans Musicians Village, co-founded by New Orleans natives Harry Connick Jr. and Branford Marsalis. Visit the gravesite of gospel great Mahalia Jackson, known as the “Queen of Gospel.” Her contributions to the genre are legendary, as is this quote: “I sing God’s music because it makes me feel free. It gives me hope. With the blues, when you finish, you still have the blues.” Read about Mahalia Jackson’s legendary performance in Congo Square during the first New Orleans Jazz Fest here. A city the size of New Orleans offers music at every turn. While we certainly can’t cover it all, we do want to make sure you catch a show at a local venue or experience a festival while you’re in town. Here are a few of our favorite sites, festivals, shops and online resources—start digging around here and you’re sure to find many, many more. Jazz Houses: Where They Lived is a free mobile app that helps you locate more than 60 former homes of important and influential jazz musicians in New Orleans. The app serves up historical information, stories, photos, music clips and more to make the city’s rich jazz history come to life. To download, visit bit.do/jazzhouses or text “Jazz” to 99000 from any mobile phone or tablet. 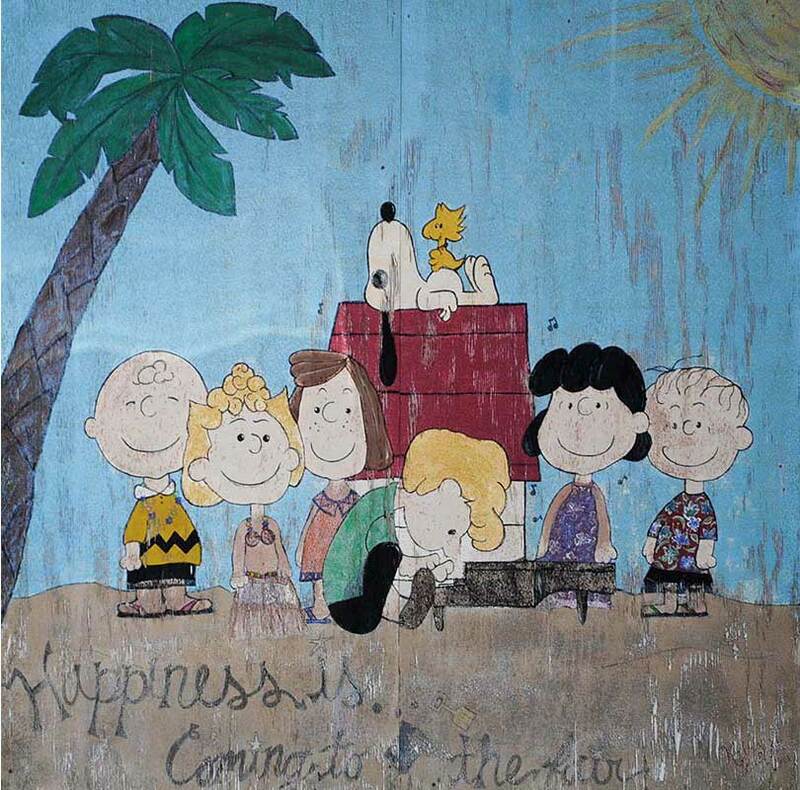 Created by the Preservation Resource Center of New Orleans. Check Offbeat Magazine for live shows, venues and listings. Get your fais do-do on, and catch a mix of one-step, two-steps, jigs, Cajun jitterbugs and waltzes at several clubs across the city. Find a club—and your supper—here. An internationally known cultural cornerstone since the 1970s, the New Orleans Jazz & Heritage Festival showcases great musical artists and New Orleans traditions every spring. Hear jazz, gospel, Cajun, zydeco, blues, R&B, rock, funk, African, Latin, Caribbean, folk and more—a true representation of the city’s deep musical roots. New Orleans is considered the Festival Capital of the World, with an active celebration calendar and more events than you can shake a stick at, most of them centered on music and tradition. Find a full list, with dates and descriptions, here. In 2005, Hurricane Katrina became the costliest natural disaster in U.S. history, slamming right into the heart of New Orleans and making international news as one of the five deadliest hurricanes on record. Katrina left an indelible mark on the city and its music culture, from its hard-won repair, recovery and resilience in the face of unspeakable disaster to its unshakable focus on music and celebration—a ferocious appetite only strengthened by the anticipation of the next storm’s arrival. It’s the most famous party in New Orleans: Mardi Gras, the centuries-old pre-Lenten celebration known all over the world for its parades and krewes, masks and traditions, beads and revelry. Learn all about it here, from travel tips to history to a glossary of Mardi Gras terms worth knowing. Catch Nick Spitzer’s American Routes Radio program online, via podcast or on NPR for an exploration of American music delving into the connections between “blues and jazz, gospel and soul, old-time country and rockabilly, Cajun and zydeco, Tejano and Latin, roots rock and pop, avant-garde and classical.” It’s recorded right here in New Orleans at Tulane University. As a city that counts tourism as a major industry, there are literally thousands of resources available for planning a visit. We’ve included a concise list below. Note that our lists of must-see sites and visitor resources are not meant to be comprehensive; rather, they’re intended to give you a taste of New Orleans and its music culture as you head into the next steps of the Gold Record Road through the Americana Music Triangle. It goes without saying that you’ll visit the oldest and most famous neighborhood in New Orleans. The city was built around the Quarter at its center in the early 1700s, and in so many ways, it’s still New Orleans’ heart. Don’t miss the Backstreet Cultural Museum, built around the life’s work of director Sylvester Francis, aka Hawk Mini Camera. It’s the world’s most comprehensive collection related to New Orleans’ African-American community-based masking and processional traditions, including Mardi Gras Indians, jazz funerals, social aid and pleasure clubs, Baby Dolls, and Skull and Bone gangs. Explore the creative achievements, improvisational brilliance and collective spirit of New Orleans’ African- American society. Take a tour of the Voodoo Museum for serious New Orleans fun. Find all kinds of voodoo artifacts and memorabilia in this cozy museum, plus stories of famous Voodoo Queen Marie Laveaux. Cemetery tours start here as well, with museum admission included; definitely worth a trip, as the dead are buried above ground due to the high water table. Arriving with settlers in the late 17th century, French was the dominant language in this region until the early 1900s when the Louisiana Constitution was amended to state that all education must be conducted in English. In fact, the language nearly died out—until the late 1960s when cultural groups made efforts to revive it as a part of the region’s heritage. With 20 historic districts on the National Register, the New Orleans area is full of beautifully preserved historic homes—some with incredible historical significance. Explore on your own or take a guided tour to get a taste of life in different periods of the city’s history through its architecture. New Orleans is brimming with amazing restaurants—some well known, some hidden treasures. Find a fairly comprehensive list here, and make sure to visit iconic spots like the Bon Ton Café, Antoine’s and Café du Monde. Take a trip south to Fort Jackson, a former coastal defense for New Orleans and a Civil War battle site as well. It’s also the spot where the Mississippi River meets the Gulf of Mexico. The site sustained a fair amount of damage during 2005’s Hurricane Katrina, but you can still see the old earthworks and explore the battle site—and of course, get a magnificent view of the river. Spend the night just 40 minutes south of New Orleans at the 1834 Woodland Plantation, the only surviving plantation home of its kind. Now a bed and breakfast, a stay here is a step back in time, a true Deep South experience, and a chance to land yourself right in the middle of some of the best fishing in the world. To get a sense of the city’s spirit and complexities today, check out the HBO series Treme, available on iTunes. This critically acclaimed drama is set in the oldest African- American neighborhood in the country, in the heart of New Orleans. This list represents our personal recommendations, but be sure to explore the New Orleans CVB website for lodging, dining, events, additional attractions and more information on anything listed above. Conditions change, businesses open and close; the local CVB is the best source for current information. The Natchez Trace Parkway is a linear National Park; you won’t find gas stations, convenience stores or other quick stops on this scenic route, unless you jump off the Trace and into one of the corridor communities along the way. Be sure to start with a full tank of gas, and keep your speed in check—the 50 mph limit on this scenic drive is actively enforced.